This Inklingo PDF has diamonds with 0.5 inch sides, half and quarter diamonds (triangles), and bonus shapes for Seven Sisters and other designs. There are several bonus shapes, including a circle for a pincushion pattern. Several other sizes are available. 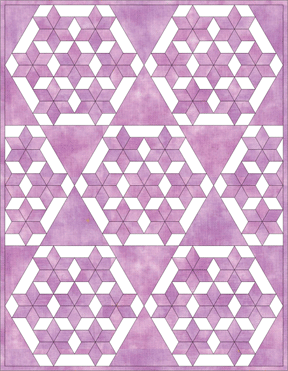 Seven Sisters is a classic quilt block and there are many variations. 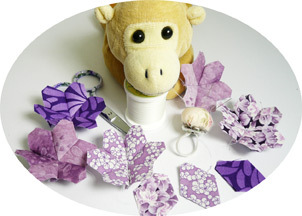 Sew with a running stitch instead of English Paper Piecing (EPP). It's more portable, more fun, more precise, and faster!